Today, a major update for Fire Emblem Heroes was released, bringing the game to Ver. 2.0.0, and adding some major content and new features. As usual, here’s the post further detailing this new content and the new features, starting with Book II. 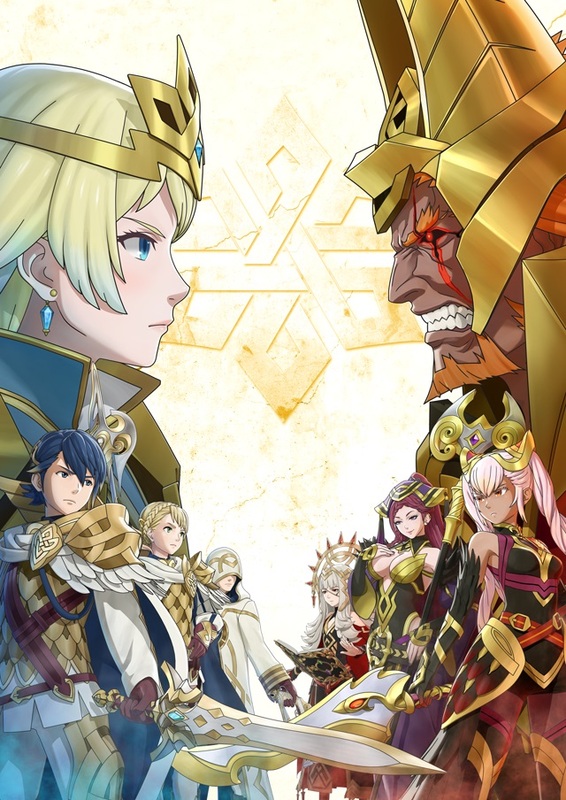 Book II is the next chapter of the Fire Emblem Heroes story. As mentioned when the update was announced, during the latest Feh Channel presentation, you don’t need to clear everything in Book I to unlock it: it’s available right after updating. 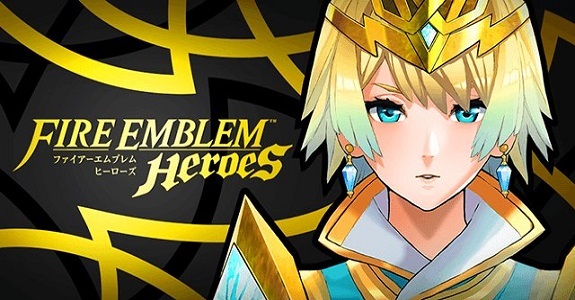 And that’s pretty good news, because that means you can go and get Fjorm: the Princess of Ice (5 ★) by clearing Chapter 1: Part 5 right away… well, from the usual update time today! As usual, new chapters for Book II will be added on a regular basis, just like Book I (to coincide with Summoning Focuses bringing new characters, most likely). By the way, to check out Book II, simply click on the arrow just above the chapters list in “Main Story”, from the “Battle” section of the app. The next Summoning Focus is called Legendary Hero Summoning Event (Fjorm: Princess of Ice), and it turns out the Legendary bit didn’t apply to the Summoning Focus itself…. but the very special Hero you can get there. Ver. 2.0 introduces a new type of Hero, called Legendary Heroes. Those Heroes have new abilities, as well as one of four legendary elements: Water, Wind, Earth, and Fire. Those very elements resonate with the corresponding Blessings to give their wearers strength. 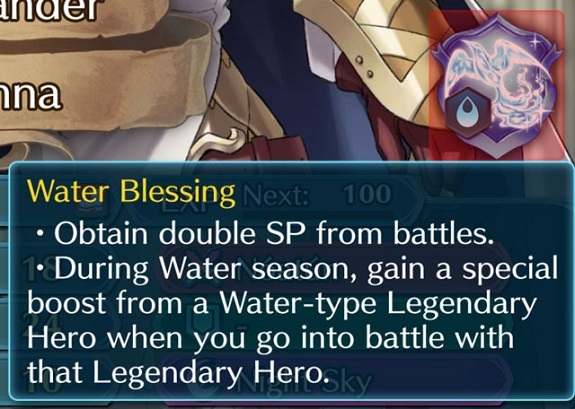 Blessings are a special item you get when you make a Legendary Hero into an ally, and those can be of one of four elements: Water, Wind, Earth, and Fire. in the corresponding season, a Hero wearing the corresponding Blessing will get stat bonus if they’re deployed alongside the Legendary Hero. An example: during Water season, deploying a Hero with the Water Blessing alongside Fjorm: the Princess of Ice will net that Hero a HP+3 and Spd+3 Bonus. Each season features two of four elements (Water, Wind, Earth, and Fire), and they change at the same time as Arena seasons. You can check out the current season at the upper-left corner of the menu. 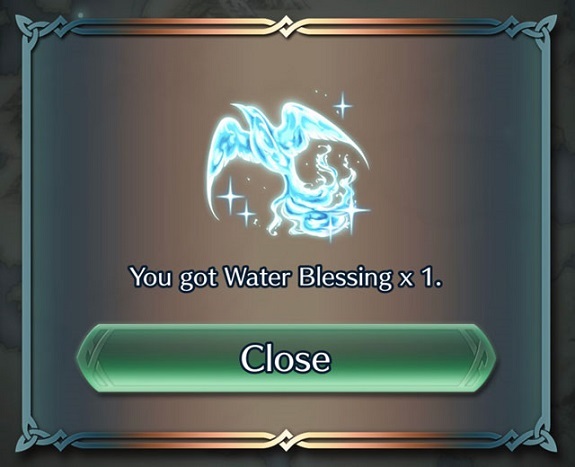 A quick (and important) note about Blessings: those are extremely rare items, and there will not be many chances to get them. In other words: think extremely carefully about who you’re going to give one, because once used on an ally, they simply cannot be removed from them. Also, while you can change a Blessing for another, when you do so, the first one is lost forever. Next up: the Weapon Refinery. As detailed during the Feh Channel presentation, it allows you to strengthen the weapon skills of your Heroes. It’s available after clearing Chapter 13 (Diabolical Bloodline), and the Intermission chapter (The Rite of Blades). Once unlocked, the Weapon Refinery can be found under Advanced Growtch (just below the Sacred Seal Forge). You can find more examples in this post! But it’s not just existing weapon skills that can be refined into high-level weapon skills: you can also strengthen some weapons with special effects, such as increasing a Hero’s stats or other abilities for example. 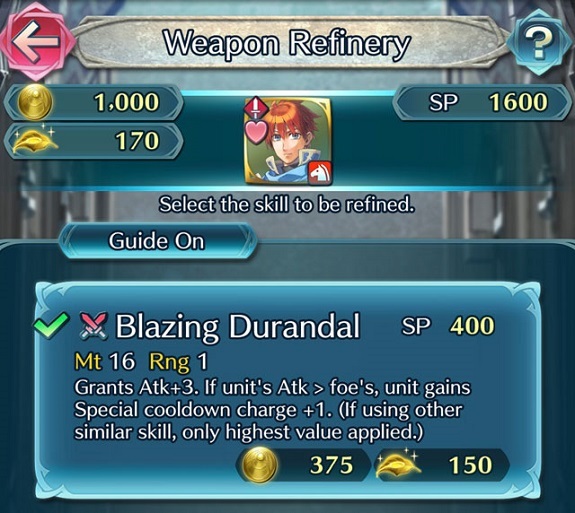 In order to use the Weapon Refinery, you need Arena Medals, Refining Stones, and Divine Dew. You can get the first two from events, quests, and the Arena, and you can get the last one by using the first two to refine weapons. As expected, the number of medals you get from the Arena depends on your score. Finally, a quick note about what happens if there are multiple ways to strengthen a weapon: you will be able to change the skill in Equip Skills. The next change of Ver. 2.0.0 is for Staves users. To be more precise, some staff skills and healing skills now have high-level skills, that you can learn when your Heroes reach 5 ★. However, there’s a catch: only Heroes who obtain the base skills naturally can use SP to earn the high-level ones. Those who obtain them via Inherit Skills will not be able to learn them. 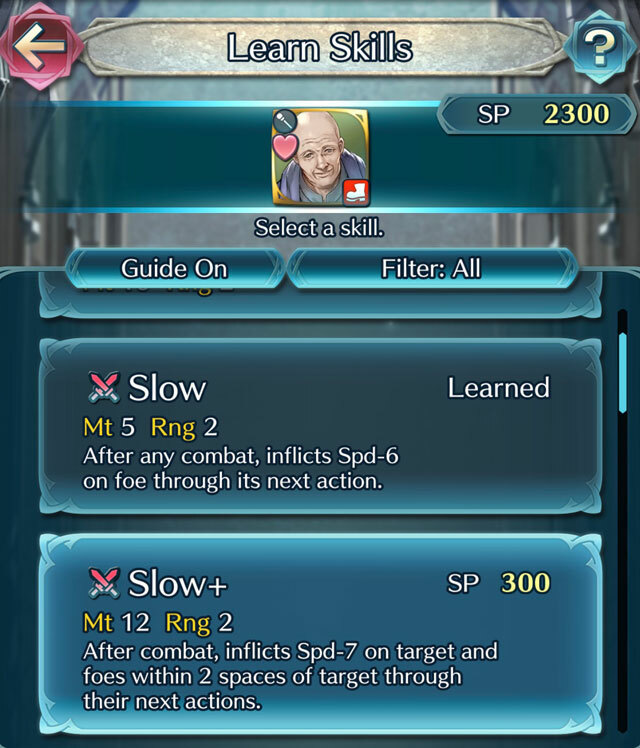 Cooldown Lowered on Some Special Skills: some Special cooldowns have been lowered by 1, allowing you to use them more quickly. You can find a list in this post! Barracks Get Bigger: all users get their Barracks expanded by 100 for free… no Feh’s feathers attached! And no, you didn’t waste all those Orbs to max yours at 1 000: you also get the expansion if you have done so, allowing you to host 1 100 Heroes in total! Arena Scores Have Been Adjusted: the Arena scores for Beginner and Intermediate levels have been adjusted to match Arena Assault. High-level rewards are easier to earn, and Arena Medals for the Weapon Refinery are also easier to get at the Beginner and Intermediate difficulties. you can now select Traditional Chinese from Select Language. 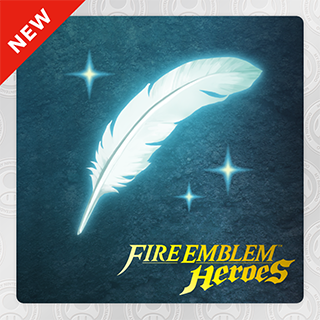 Finally, a new My Nintendo reward for Fire Emblem Heroes has been added: 2 000 Hero Feathers, for 100 Platinum Coins. You can only get it up to 5 times (so 10 000 Hero Feathers), regardless of the amount of points you may have. Click here to redeem your points, and here to check out the current list of Fire Emblem Heroes rewards. One last thing: there’s currently an issue impacting some devices running iOS: the detailed explanations that appear when you tap on a Hero’s name or a skill icon are not displayed properly. This will be fixed in an upcoming update, but in the mean time, you can check the explanations from the Hero’s detailed profile page instead. And that’s it for everything new and the various changes in Ver. 2.0.0 of Fire Emblem Heroes. As usual, you can find all the latest Events and Content updates in this post, and the list of characters in this one!